I’ve had a tough time getting started on this post. It’s another reflection on the book Nerdy, Shy, and Socially Inappropriate by Cynthia Kim, and this time the topic is bullying. I’m not sure if it’s difficult for me to write about because I don’t have a lot of personal experience with being bullied, or if it’s just because it’s such an unpleasant topic in general. What’s interesting about Cynthia Kim’s story is that she experienced bullying from both sides. In elementary and middle school, she was picked on by the children in her class– they made fun of her, took her things, and in one case the biggest boy in class cornered her in a coatroom and kissed her against her wishes. For a while, she didn’t know what to do about it aside from trying to hide. But eventually, Kim found a different way to respond– becoming a bully herself. If she could focus people’s attention on making fun of someone else, it meant that she was no longer the target. She explains that she was able to identify who to pick on, because they looked just like she used to when she was the target of bullies herself. When you’re a kid, both you and everyone around you is learning social skills at the same time, and one of the things we all have to learn is how easy it is to hurt others by what we say and do. It makes me think of how I probably treated others rudely without realizing it when I was growing up, and later I had to trust that God would give them grace to forgive or to forget my mistakes. I don’t think I ever bullied anyone, but there were certainly times when I felt relieved that someone other than myself was being teased. One good thing that has come out of Kim’s experiences is that she is able to give a helpful list of why people on the autistic spectrum tend to experience bullying, which can be a problem at any age, not just in childhood. In her book Nerdy, Shy, and Socially Inappropriate, Cynthia Kim talks about the experience of learning about Asperger’s and seeing how many of the signs were present in her life from an early age, leading to a question: How did nobody notice the signs back then? Asperger’s may not have been defined yet, but she definitely was different from other children her age. She spent a lot of her time by herself– she felt most content when she could spend hours in her room playing games of Risk and Monopoly against herself, or going on long bike rides around her neighborhood alone. When I was that age, I was likewise able to entertain myself for hours alone with just a book or a road map or atlas to study. It was hard to shift my attention to something else while I was still exploring it! Kim writes that another reason she thinks her Asperger’s was harder to spot was an issue that I’ve written about before on this blog: for a number of reasons, boys are much more likely to be diagnosed with Asperger’s than girls are. One of the presents on my Christmas list this year was a book about living with Asperger’s syndrome. Nerdy, Shy, and Socially Inappropriate: A User Guide to an Asperger Life was written by Cynthia Kim, a woman who was diagnosed with Asperger’s syndrome in her forties. I’ve really enjoyed learning about other Aspies’ stories and experiences, and seeing the similarities to and differences from my own story as a man diagnosed with Asperger’s in my late twenties and still learning about it in my thirties. I haven’t posted much on this blog for a few years, but I have been writing reflections giving my responses to other books like this one– it’s just that I’ve been sharing them with my girlfriend Megan rather than posting them here. It’s been fascinating getting to hear her perspective too, as I’ve never come across anyone else whose thinking patterns were so similar to mine! Like me, Cynthia Kim grew up before anybody had defined Asperger’s syndrome or knew anything about it. What if I’d been diagnosed earlier? What if I’d been given the type of supports and accommodations that children on the spectrum receive today? Of course, it’s impossible to know how my life would be different. I’ve certainly thought about those questions myself. To be honest, though, I have a hard time imagining myself growing up a different way than how I did. If I had known I had Asperger’s, I might have been less hard on myself for the social skills I struggled to learn. But I fear that, if I’d had that Asperger’s label to fall back on, I might not have tried as hard to achieve what I did while I was in school. By God’s grace, I had a wonderful group of classmates who accepted me as I was, even when I was a bit strange, and that bore fruit in a wonderful senior year when I finally opened up to forming friendships with them and found that I enjoyed it! Would that still have happened if I’d thought of myself as “autistic” rather than just “smart, shy, and awkward”? I don’t know. Because I was quiet and did well academically, the adults in my life attributed my difficulties to extreme shyness and timidity. I’d grow out of it eventually and all of my problems would be solved. That explanation carried me into adulthood, where in the back of my mind I was waiting to magically outgrow my social and communication difficulties. Decades passed and there I was, still waiting for someone to give me the secret handbook that would explain all those social nuances the people around me seemed to instinctively grasp. Wow; that is exactly how I felt! I even told my Mom I wanted an “instruction book” that would tell me how to be an adult, because I was nearing the end of my school years, and we still hadn’t covered it. The assumption is that the shy, quiet boy or girl is just maturing mentally or physically faster than they are socially, and before long, they will “catch up” and it will all even out. That can be true in some cases; all you need to do is be patient, and time will solve the problem. But in my case, the difficulty I have with social skills are due to the way my brain is configured– it is a learning disability. That doesn’t mean I can’t learn social skills, but it might mean I will have to find a different way of learning them, and using them might never feel quite “normal.” I’m still working on that every day, and it’s not because I’m dumb or lazy! It’s taken several years for me to “unlearn” the thinking I’d built up that my struggles were my own fault– thankfully God and my parents have been patient! It’s really been a rewarding time of learning and growing for me. I think another quote from Kim describes this sort of thing well. Since discovering that I’m on the spectrum, I’ve been blogging about my experiences, processing what it means to suddenly be autistic at 42. In a way, I’ve been forced to relearn how to be me. All the things I thought were broken or defective or weird about me? It turns out they’re perfectly normal for people like me. Even more exciting? There actually are other people like me. Lots of them. I felt like I spent a while after my diagnosis trying to figure out who I am in light of it. And I’ve had the joy of meeting one of those other people like myself. I’m so thankful I met Megan– I’ve learned so much from her and had a lot of fun at the same time! Anyway, hopefully it won’t be too long until my next book reflection. Every game in Nintendo’s long-running Legend of Zelda series has essentially the same story, but each one puts a unique spin on the world of Hyrule, adding another layer of depth and richness as the player discovers how the familiar elements come into play. The latest installment, Breath of the Wild for the Nintendo Switch system, is the most immersive telling of the legend yet. It reminds me the most of my previous favorite in the series, Windwaker, because of its huge world and beautiful cel-shaded graphics. But while Windwaker used the vastness of the ocean to achieve its large feel, Breath of the Wild has a landscape made up of widely varying climates, absolutely packed with detail. For people who want to get on with the story, it provides a “fast travel” option that allows the hero Link to teleport to places he’s already discovered, but I haven’t used that, preferring to cross country on foot or on horseback and enjoy the sights and experiences I come across along the way. My girlfriend Megan is a real-life birdwatcher— she has submitted reports of the birds she’s observed. That gave me the idea of submitting my own virtual birdwatching report on the birds of Hyrule. It’s taken a while, but I’ve finally gotten a photo of each bird in the game. Sparrows come in six varieties, and I was impressed to find that they differ not just in color but also in behavior. Blue sparrows are the easiest variety to find. They prefer temperate zones near mountains, which is the climate of at least half of Hyrule. They are also fairly laid-back, cheery little birds that like to find streams and puddles to bathe in, so you can usually find them just by walking down a road near a brook, especially if it’s raining. Just walk quietly, or stand still, and one may come hopping right up to you to give you a questioning look. Golden sparrows live on the outskirts of the Eldin region, which is a volcanic mountain range with the live Death Mountain volcano at its center (where nothing lives except monsters). According to the Hyrule Compendium, their down is resistant to burning, and they eat small insects that hide between the rocks. You can tell when they are nearby when you hear their high-pitched chirping. In other parts of Hyrule, the chirping could be coming from invisible birds in the trees, but in the Eldin region there are no trees. Sand sparrows are a beautiful reddish-brown color, which helps to camouflage them in the Gerudo Desert. They can be a real challenge to get close to, because it’s hard to move quickly and softly in the desert sand. Link might have to find special Sand Boots to allow him to sneak up on one. There are a lot of dangers in the desert, so these birds can be quite skittish. Red sparrows are actually a very pale pink. I have only seen them in the vicinity of the Rito Village in northern Hyrule (which, oddly enough, is a village of bird-people). They don’t seem to go up into the frigid mountains surrounding the village, instead scrounging for wild plants and nuts in the foothills. Thanks for reading my introductory post about the computer game To the Moon! This post will start to get into the details of the plot in earnest, so only continue reading if you don’t mind finding out what happens in the game. My girlfriend Megan has already written over a dozen posts reflecting on her reactions to the game and how it relates to Asperger’s syndrome, and they are really neat! Her posts are a lot less spoilerish than mine, so you can check them out if you want to learn more about the themes of the game without being spoiled about the details of the plot. So, what is it like to have a girlfriend with Asperger’s? To put it simply, it’s incredibly awesome! It’s been a lot of fun sharing stories with Megan about growing up feeling a bit different from everyone else and realizing how much common ground we have. The first time Megan came to visit, we went for a walk around the neighborhood together and talked about all sorts of things. That’s when I began to notice something interesting. Ordinarily in this situation, I would be devoting a lot of my energy to coordinating my body language, facial expressions, and trying to maintain some rhythm of eye contact in order to give the correct appearance of being attentive. But in talking with Megan, I started to lapse back into my more natural habit of letting my focus remain on the path ahead of me, or drift off into the distance as I chose my words. I would still look over at Megan and smile (how could I not? ), but I stopped worrying about how my natural expressionless, unfocused face would look and just talked. I knew that Megan would understand, because I noticed she was doing the same thing! The feeling of peace that came over me as I settled into this pattern was amazing. I had never realized how much energy and worry I had been putting into social interaction all these years in order to appear more “normal.” I suppose I was finally “being myself.” When I needed to pause to think of how I wanted to complete a sentence, Megan never interrupted me, always patiently waiting for me to find the words. It was wonderful! What makes me even happier, though, is that I thought I saw the same transformation in Megan. When we first picked her up at the airport and immediately went to lunch, I could sense a little tension in Megan’s voice and mannerisms– she spoke quickly and softly, with the same slightly exaggerated nodding motion that I always use when I’m afraid people will think I’m not paying attention. But during dinner that night, after we had all had a chance to rest, Megan spoke more slowly and confidently, sharing her knowledge on a lot of fascinating topics while displaying a delightful range of emotions. I was so happy to see that she felt comfortable with me and my family. I don’t know if that was how I came across when I was talking to Megan, because the fact is that– for once– I wasn’t paying attention to how I looked or sounded; I was fully focusing on what I was saying and whom I was saying it to. But I felt at peace. All of this seemed to point toward a happy possibility– that Megan and I are both made better by the mere fact of being together. It was a voice that would remind me of all the times I had messed up, when I had looked silly, when I had hurt someone’s feelings. Being reminded of a mistake felt like reliving it– even years later, I would look back and shudder about the smallest misunderstandings. It was a voice that told me to pause before speaking up, reaching out, or taking action. What if I made a mistake? Better to stay silent and hidden. It was a voice that told me whenever something bad happened, to assume it was my fault. “I’m sorry.” I felt like I needed to apologize for everything– it probably was my fault somehow. It was a voice that told me to compare myself to others and that I wasn’t ready for the challenges ahead– I didn’t know how to drive (or want to learn how), I didn’t have a job, I didn’t like to go out with friends, I’d never had a girlfriend, I didn’t know what I wanted to do after I graduated. And before I knew it, it would be too late to learn. See, I knew that the critical voice that plagued me came from my own mind. It was my own voice, the voice of my fears. As I said in an earlier post, part of growing up was that I became more aware of other people, and of their awareness of me. And that caused me to be more careful about what I did and said. But my rule-oriented mind took it to the extreme. And it tended to create a vicious cycle, because the more I hid from potential failure and embarrassment, the more I feared that I was leaving myself unprepared for the world by not trying. To greater and lesser degrees, every day since then became a fight against that voice in my head– usually subtle, but sometimes exhausting. I could fight it by distraction, or by applying myself to a task that I really enjoyed. Better still, I could fight it with other voices– the voice of God’s Word telling me that I was forgiven, my sins had been paid for, and God was in control of my future. The voice of the Holy Spirit assuring me that I was a beloved child of God, and the voices of my family echoing that same unconditional love. One of the greatest things about God is that he is so near. I don’t have to make a journey to talk with him. I don’t have to go through a series of mental exercises to make my thoughts acceptable to him. He is as close as my own thoughts at all times. Just by remembering that he is there, I can turn any time of distress and doubting into a prayer. This didn’t make the struggle go away, but it meant I never had to struggle alone. Hopefully this post makes some sense; I don’t intend for it to be a “woe is me” post. I’m trying to be honest about how I see my life and development. My next post will be on something more fun and less serious. “How well I know what happened at the instant when they snatched him from you! There was a sudden clearing of his eyes (was there not?) as he saw you for the first time, and recognised the part you had had in him and knew that you had it no longer. “Defeated, out-manœuvred fool! Did you mark how naturally—as if he’d been born for it—the earthborn vermin entered the new life? How all his doubts became, in the twinkling of an eye, ridiculous? “As he saw you, he also saw Them. I know how it was. You reeled back dizzy and blinded, more hurt by them than he had ever been by bombs. The degradation of it!—that this thing of earth and slime could stand upright and converse with spirits before whom you, a spirit, could only cower. Perhaps you had hoped that the awe and strangeness of it would dash his joy. But that is the cursed thing; the gods are strange to mortal eyes, and yet they are not strange. The world in my dreams is much bigger than the real world. I mean that in a literal sense. I often dream about places that are familiar to me, but they are almost always larger and more complex than the places were in real life. That’s one of the few things I think the movie Inception portrayed accurately about dreaming (at least until they decided to skip the maze concept in favor of an action scene– that was too bad). Houses go on and on, with room after room opening into one another. My high school building has twice as many floors as in real life, and there are hallways you can only get to by going through a classroom. My church has back stairways leading to endless dimmed passages. My rural college becomes a city college, where instead of walking to class I am driving through traffic over hills and through tunnels. Everywhere I go, I am finding new places I didn’t know about– professors’ offices in the basement of the library, underground shopping malls that are miles across, museums holding everything imaginable. The journey from home to grad school takes me over huge mountain passes (even Texas has somehow become Alaska). Sometimes I dream that I have to drive my way through a tangle of overpasses and underpasses or even jump over a river using an incomplete bridge. Even things like familiar television shows and video games take on an enlarged, alien appearance in my dreams. I always recognize them, but after I wake up I realize I was imaging things that never existed– Star Trek didn’t cover a span of 100,000 years (as much as it may seem to some people!) and there was no Super Mario game with a thousand levels. These dreams aren’t unpleasant– often I enjoy exploring these places. As in real life, I don’t usually interact much with other people in these dreams; I either just wander or try to make my way to some appointment. 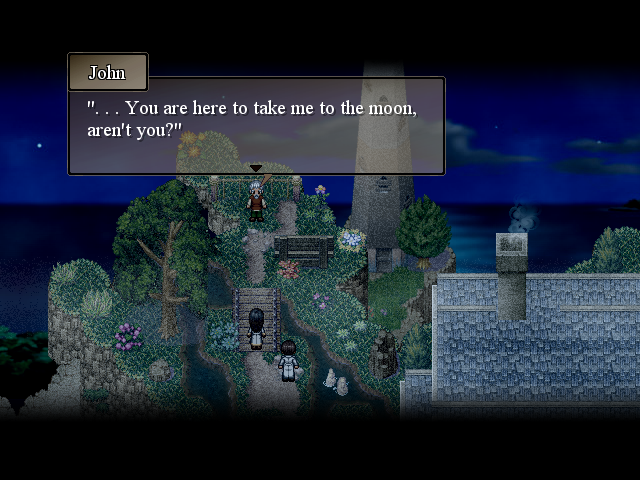 It’s too bad I can’t remember them very well, because they would make pretty neat settings for stories. If I had to guess about why I dream this way so much, it probably has something to do with the feeling that the real world is always just a bit more complicated than I can understand, requiring a bit more of me than I feel like I can keep up with. Maybe my overcautious mind magnifies my circumstances, and I get to see that in my dreams. Or maybe getting to explore a larger world while I’m asleep makes the real world seem like not as daunting a place. A lot of what you read about autistic and Asperger’s personalities tends to focus on their typical weaknesses, like social awkwardness and difficulty connecting with other people. There’s a lot written about how traits like introversion can be a hurdle for autistics trying to fit in to a workplace or to form relationships. But it’s a huge mistake to dwell only on the negatives. Let’s ask a different question: What are the strengths of an Aspie personality? Can a person with Asperger’s or autism be a good coworker, a good friend? I believe that the answer is yes, without a doubt! People with autism, Aspies, shy people– have a lot to offer, especially if others are willing to listen and be patient with them. 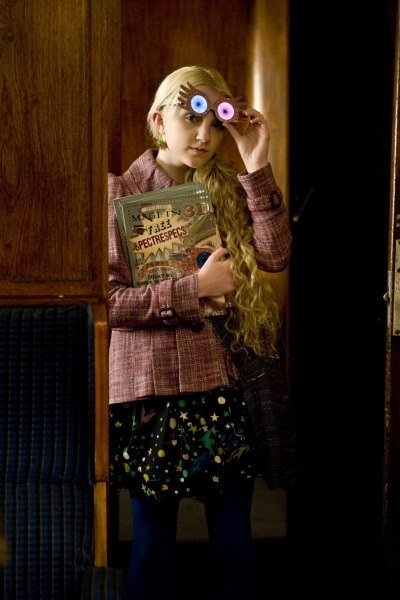 I think that the character of Luna Lovegood in the Harry Potter series is a great example of some of the strengths of an Aspie personality, and the way her friends accept her is a great example of how to treat others who may seem a bit different. Speaking as an Aspie, it tends to be hard for us to talk about our strengths because we are so constantly aware of our weaknesses, but I think it’s a little easier to point out the strengths of a fictional character like Luna. 1. The fruit of time spent alone in thought. Aspies tend to need a lot of time alone to sort out our thoughts. It’s not that we are smarter or deeper thinkers than anyone else, but we are more easily distracted by all of the sensory data bombarding us from every angle and the conscious effort it takes to participate in the give-and-take of interacting with other people. In some ways, the magical world of Hogwarts seems like it could be a nightmare for someone who is prone to sensory overload. It has all of the noise and busyness of a school, with people headed every direction all the time. But I think the most annoying thing would be the pictures. Luna grew up in this sort of magical world, so maybe it doesn’t bother her that much. On the other hand, it’s not that different from having to contend with blaring advertisements in a crowded mall or airport in the real world. But she does seem to appreciate time alone. In Order of the Phoenix, Harry Potter finds her in the forest feeding thestrals, the silent winged creatures that are invisible to most people. When Harry asks why no one else seems to see them, Luna explains that she and Harry can see the thestrals because they have seen death– Luna lost her mother at the age of nine in an accident, and Harry was orphaned when he was just a baby. Just months ago, Harry also witnessed a friend and classmate being murdered by the killer of his parents, the dark lord Voldemort. At this point in the story, Harry is feeling isolated from his friends and ignored by his mentors. He knows that Voldemort is about to strike openly and try to seize power, but the authorities are in denial. They refuse to even speak Voldemort’s name and have published stories in the “respectable” papers portraying Harry as a liar. Some of the people that Harry thought were his friends are avoiding him, and he has started to avoid them. This isn’t the sort of insight that occurs to someone without the benefit of a lot of time spent sorting out her thoughts. Who would expect a shy little girl to have spent time considering the strategy of a ruthless enemy? It’s an insight she has arrived at only after a great deal of thinking quietly by herself. Luna, too, has felt isolated, because of the teasing of the other students and the fact that she has experienced a loss that most children her age can’t relate to. It turns out to be the insight that Harry most needed at that point in his life. Whew; I am glad to be done writing about my class trip! I get so horribly stuck when I hit a writer’s block. None of the things I write seem to sound right to me, and it takes me a week to write a sentence. Eventually I end up avoiding the task as a reflex. I’m still trying to figure out the best way to get out of a rut like that. You can click here to see just the posts marked with the “Asperger’s” category, or you can go all the way to the first post on the blog and use the “Next” buttons to read all the posts in order. I’ve never liked the way that blogs display all the posts backwards; it seems like the most confusing way to read things. And, if you want to make sure not to miss when I come out of a long period of not writing anything, you can subscribe to the blog, and you’ll receive an e-mail whenever I post something. Anyway, I hope it’s not too long before my next post is up; thank you readers!